Do you believe that beautiful underarms are real? Well, I do, because with Dove's new and improved formula, it can be. 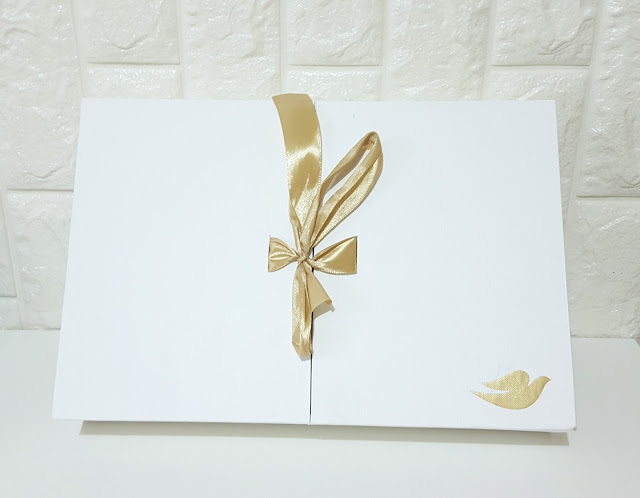 Just received this beauty box wherein Dove put together the most caring ingredients in each and every bottle. Can't wait to try these and achieve the beautiful underarms I've always wanted. Let’s face it – we are beauty junkies, eagerly awaiting to try the latest skin and hair trends we see on our social media feeds, and on lifestyle websites. What we don’t realize is that there is another part of our body that’s often taken for granted but needs extra care and protection – our underarms. Even when we shave, pluck or wax them, we don’t always make sure they are cared for. Dove is championing the need for enhanced care for this delicate and sensitive area of the body, and believes underarm care should be an extension of one’s beauty regime. 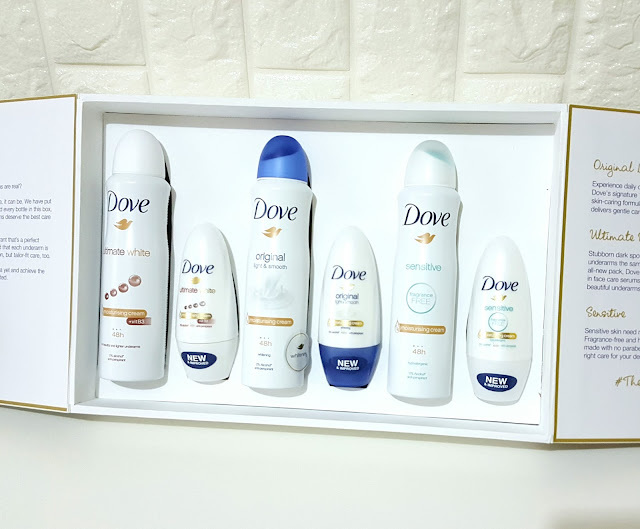 This year, Dove, the number one brand recommended by dermatologists, takes underarm care a step higher by launching their most skin-caring formula ever. The improved formulation promises to deliver superior care and mildness to underarm skin, all while maintaining the same level of sweat and odor protection as the previous one. 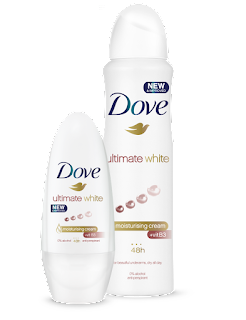 The new Dove deodorants also have an improved fragrance: softer and less harsh, but maintaining the signature clean and calming Dove scent. With this new extra-care formula found in all their variants, Dove deodorants stays true to its commitment of delivering only the best care for every woman. For care and protection, Dove Original deodorant is front and center. It contains Dove’s signature ¼ moisturizing cream to deliver gentle care, and to repair your underarm skin. Enriched with Vitamins E and F, it is specially formulated to take care of skin that’s constantly exposed to shaving, and waxing, giving you lighter, smoother underarms. Stubborn dark spots? Dove Ultimate White is the ultimate solution. Made with face care serum ingredients like Omega 6 and hydrating glycerol, Dove Ultimate White lightens underarm skin from within, for ultimately beautiful underarms. Armpit skin sensitivity is a common issue among women. To combat skin irritation, Dove introduces its new variant, Dove Sensitive. Created especially for sensitive skin, this hypoallergenic and fragrance-free product is also made with Dove’s signature ¼ moisturizing cream, and has no alcohol or colorants. It’s paraben-free, fragrance-free, and is made to nourish and calm the skin. As for me, I trust only Dove to give the best care for your underarm skin. Experience Dove’s most skin-caring formula yet and achieve the beautiful underarms you’ve always wanted. That’s #TheBeautifulTruth. Dove Deodorants are available in all leading supermarkets, department stores, and drugstores nationwide. No worries even plucking and shaving! Been a 5 years Dove user! Trusted! I love dove! tlgang effective po sya sa underarm kaso ako lang naman tlga ang di maalaga sa underarms ko hehe..